What is there to say about Santa Claus other than he is a legend in his own right? With a roly-poly tummy, a beard as long as a giraffe and as white as snow, a suit as red as the wrappings on Christmas presents and a heart of gold, Santa Claus is a child's dream - and even Jack's dream! Santa Claus is the object of Jack's obsession, a man whom Jack aspires to in every way. It is Santa's way of life from his reindeer to his workshop to his suit that inspires Jack to have his very own version of Christmas back in Halloween Town. Jack desperately seeks Santa's approval for his Christmas but Santa would rather be rid of the skeleton and the trouble he brings. He sends Jack and friends after three wrongdoers, and when Jack doesn't return he goes to the Hinterlands to look for him, at which point he is snatched up by the evil Oogie Boogie on Maleficent's word with the plan in mind to turn him into a giant Santa Heartless! Fortunately Sora and friends with Sally's help save poor Santa and restore peace… for a while. Yes, you've guessed it: trouble arises again later on when Sora makes a return to the world. Santa is as usual making preparations for Christmas when Jack and Sora's crew pay him an unexpected visit with presents in tow. 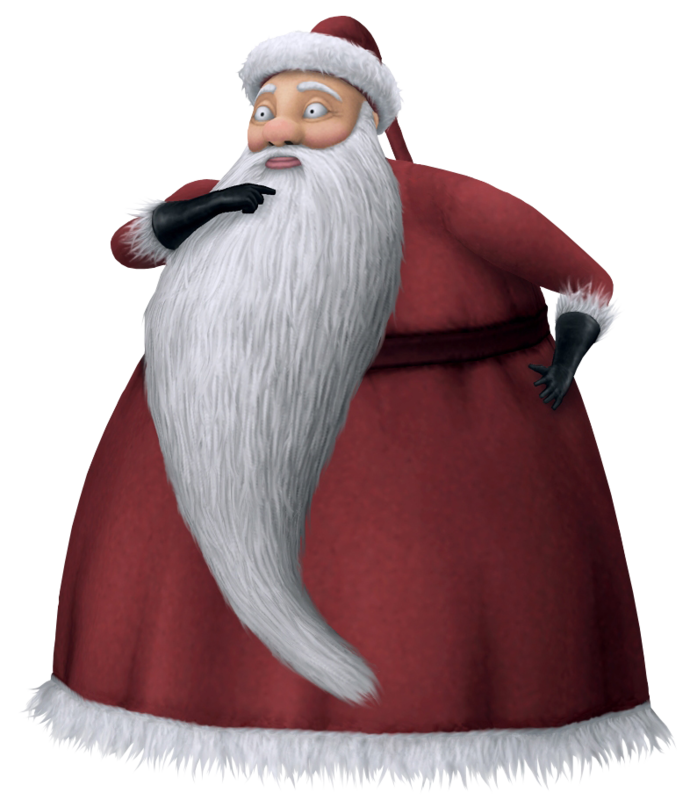 Since Jack is decked out in his own Santa suit, Santa assumes Jack is the one responsible for the theft of gifts from his workshop but is later proved wrong when it is revealed that Dr. Finkelstein's experiment was the one making off with the presents. As a reward, Santa gives Jack a taste of what Christmas means to him by letting him test-drive his sleigh and reindeer.